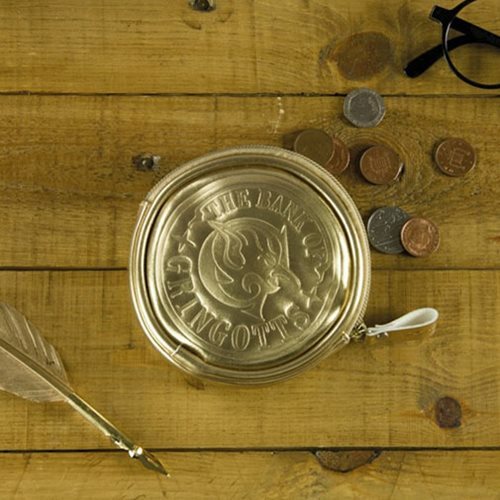 Keep your gold safe and sound with this wonderfully designed Harry Potter Gringotts Coin Purse. Gringotts, the wizard bank! Ain't no safer place. Not one. Except perhaps Hogwarts. 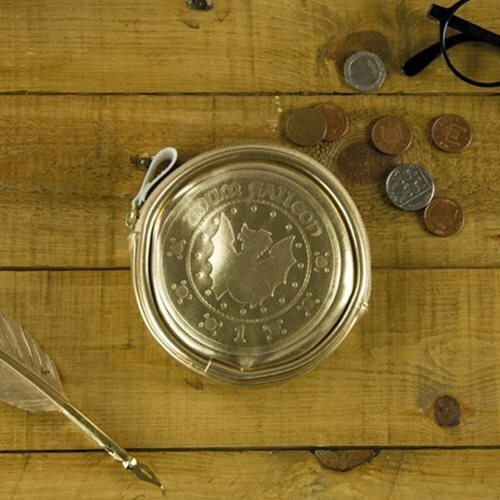 This purse is in the shape and design of a round gold coin from Gringotts Wizarding Bank. Golden, with embossed detail, and a gold zipper, this purse is perfect for Harry Potter fans who want to keep their change safe. 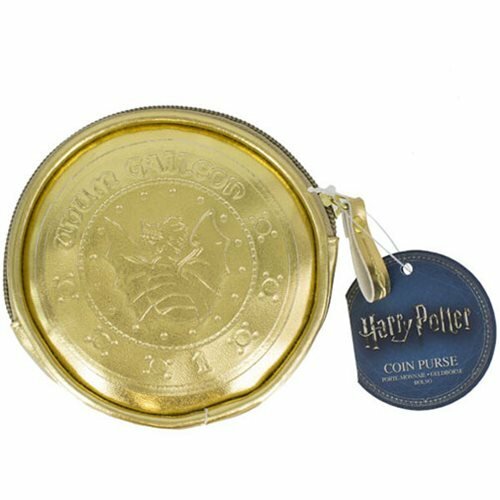 With this beautiful Harry Potter Gringotts Coin Purse you can carry a little bit of magic with you wherever you go.